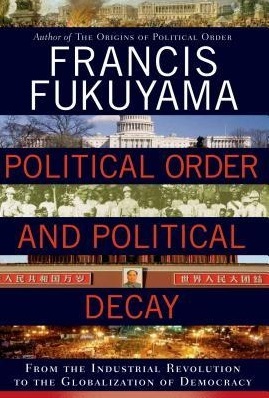 Towards the end of Fancis Fukyama’s recent tome, Political Order and Political Decay, Fukuyama makes reference to Frederick Winslow Taylor, a business guru from the turn of the century. Modern Science was being applied to state bureaucracy, and Taylor was at the forefront of what might be termed today as business optimization. ‘[A]dministration,’ Fukuyama explained, ‘was a realm of implementation that could be studied empirically and subjected to scientific analysis….public administration could be turned into a science and protected from the irrationalities of politics.’ (Chapter 41, Political Decay) Reading that piece, I remembered something. Yevgeny Zamyatin was a writer who George Orwell described as having an ‘intuitive grasp of the irrational side of totalitarianism.’ His best remembered work “We” is a dark satire on a future state that is authoritatian, vicious, mathematical, and strangely devoid of character and soul. On numerous occasions his narrator refers to Taylor (who died only six years prior to the publication of the book), referring to him as ‘the greatest of the ancients’, an asignation dripping with satire. His methods appear in Zamtayin’s dystopia as cherished principles of the One State regime, moving towards mathematical perfection in the administration of society. Clearly, Zamyatin saw what Fukuyama saw, and while Fukuyama acts as a historian and reports the trend dispassionately, Zamyatin as a contemporary of Taylor clearly saw ‘Scientific Management’ as a dangerous thing.